When Vogue and GQ went to Iran. 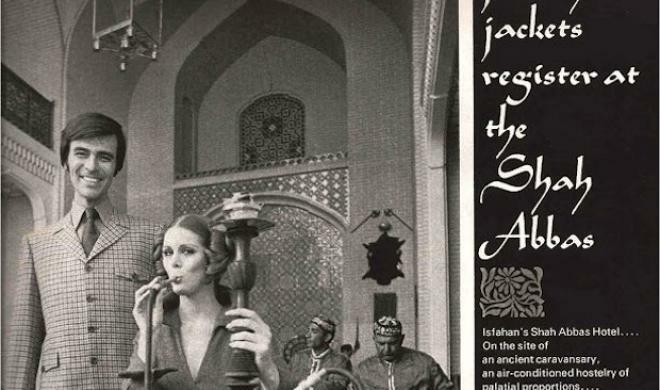 A decade before the Islamic revolution, Iran was a popular destination for Western fashion magazines. In 1969, at least two major publications sent their photographers and models to the country. 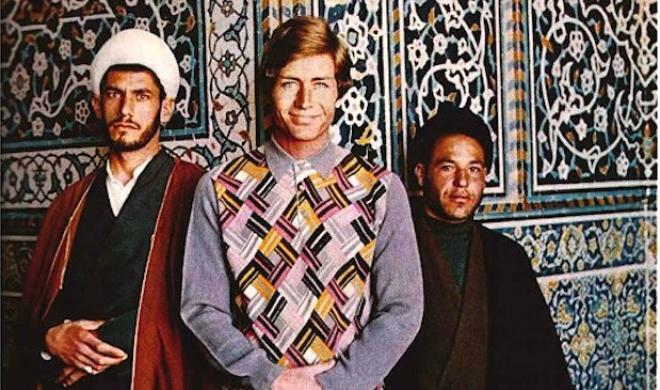 For Vogue and Gentleman’s Quarterly (the magazine now better known as GQ), Iran in 1969 was just another charming, exotic destination for a photoshoot. They didn’t even have qualms about letting models pose in mosques and places of worship. 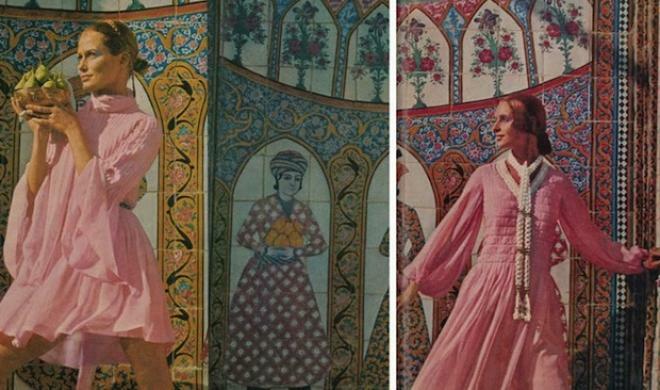 The December 1969 issue of Vogue featured American photographer Henry Clarke’s photos of Western models in colourful garments, posing among Iranian antiquities and landmarks. The issue also included an interview with Farah Diba, empress of Iran, and a short article on a fashionable boutique in Tehran, popular with “super-attractive young Tehranians”. In October of the same year, GQ had also featured Iran on its cover — a “Persian Excursion” by a stylish Western couple, posing in Iran’s mosques and markets, even with Islamic clerics visible in the background.